Nokia’s comeback has been the talk of the tech community for quite a few weeks now. In May of this year, Nokia had announced that it will grand HMD Global (A Finnish company) the exclusive global license to create Nokia-branded mobile phones and tablets for the next 10 years. Earlier this month, HMD Global officially announced its entry into the mobile market with the Nokia brand. 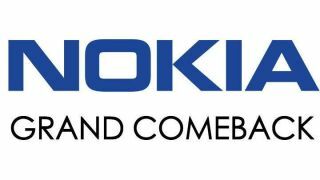 Rumours indicated that the the company will be releasing 3 Nokia-branded Android smartphones in the first half of 2017, a flagship, a mid-range handset codenamed ‘DC1’ and a low-end smartphone codenamed ‘Pixel’. However, fresh information has now leaked out which suggests that the company will be releasing as many as 5 Nokia branded smartphones throughout 2017. Aside from the three handsets that the company is expected to announce in February 2017 during MWC, it is expected that the company will release more models in Q2 and Q3 2017, including a variant of the D1C. According to Digitimes, the new models will have displays ranging from 5 to 5.7-inches in size at both fullHD and QHD resolutions. They further claim that LG Display, Century Technology (CTC), and Innolux will be supplying the display panels for the smartphones. What is almost certain is the fact that Nokia its going to launch new Android smartphones at MWC 2017 in February 2017. New details of Nokia’s upcoming Android smartphone have surfaced online. The latest leak points to the flagship handset having a 5.2-inch or a 5.5-inch QuadHD display (2K). Additionally, the device is set to be powered by the Snapdragon 820 processor which is a bit disappointing considering that the world has moved on to the Snapdragon 821. In fact, Qualcomm has just announced the Snapdragon 835 which the Samsung Galaxy S8 is tipped to come with. The smartphone is also said to come with Zeiss branded optics as seen on earlier Nokia devices. Taking Nokia's history with imaging into account, the camera is sure to be a highlight of the device. While leaks and rumours regarding Nokia’s upcoming mid-range device, the D1C have been floating about for weeks now, this is the first time we have seen some information regarding its flagship handset. More details regarding the mid-range handset and arguably what will be the most popular of three devices has emerged online. The Nokia D1C Android smartphone will reportedly come in two variants with different RAM, camera and display specifications. Spotted by Nokia Power User, the two handsets will differ in terms of the display with one coming with a 5-inch display and one with a 5.5-inch display. Additionally, one will come with 2GB of RAM while the other with 3GB of RAM and the rear camera modules will also differ, with 13M on the power variant and 16MP on the higher end variant. Both variants will be powered by the Qualcomm Snapdragon 430 processor paired to an Adreno 505 GPU with 32GB of internal storage. Additionally , The D1C is set to come with rounded metal edges, with capacitive buttons at the front and volume and power buttons on the right. What is interesting is that the Gold color variant of the device is expected to come with a fingerprint scanner embedded in the Home button, while the other color variants (White and Black) will lack this feature. On the connectivity side, the device is set to support 4G LTE, Wi-Fi Bluetooth 4.0 as well as GPS/A-GPS. The handset will also come with Android 7.0 Nougat on board. Nokia’s version of the Pixel? The low end device by Nokia is strangely enough codenamed ‘Pixel’. Google Pixel name references aside, this device is as far as possible from Google’s flagship handset. The ‘Pixel’ is rumoured to come with 1GB of RAM and a quad-core 1.1GHz Qualcomm Snapdragon 200 processor. These are decidedly low end specifications and point to an entry level device by Nokia to rival the like of the Moto E.
The device was spotted on the smartphone benchmarking portal GeekBench, where it scored a rather lowly 404 and 644 points in single-core and multi-core tests. The device is set to come with Android 7.0.1 Nougat and will join the Nokia D1C and the upcoming flagship to make up an entire range of Nokia Android smartphones to look forward to. Leaks and rumours point to the high-end devices sporting a price tag of around Rs 30,000, while the D1C (the mid-range device) is expected to be priced south of Rs 20,000. The company behind Nokia’s comeback - HMD Global has confirmed its presence at MWC 2017. In May of this year, Nokia had announced that it will grand HMD Global (A Finnish company) the exclusive global license to create Nokia-branded mobile phones and tablets for the next 10 years. This, along with the fact that Nokia CEO Rajeev Suri is also set to speak at MWC 2017, all but confirms the fact that Nokia is set to launch new smartphones at the 2017 Mobile World Congress. We will get to know more about these smartphones at the Mobile World Congress in February 2017.